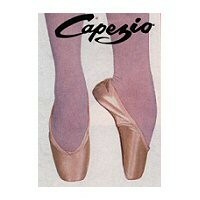 following select sizes and colors of Capezio Pavlowa pointe shoes. These shoes are displays, old stock or discontinued styles. Pavlowa features a tapered toe box with a pre-arched hard #3 shank Sizing...Begin 3 sizes smaller than street shoe size At these prices, all sales are FINAL.